I was in meditation having a conversation with my Guidance, and, well, they were giving me Guidance! They said they could feel my Zeal and I was to look it up. Eagerness and ardent interest in pursuit of something. A strong feeling of interest and enthusiasm that makes someone eager or determined to do something. 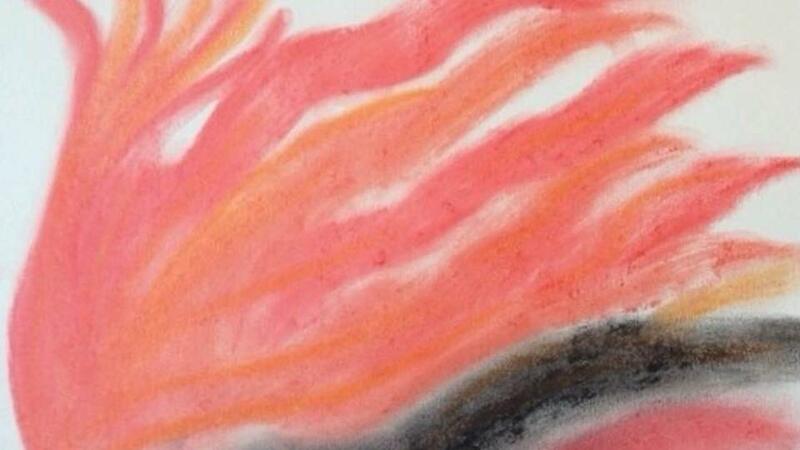 And because I love to paint with pastels I asked myself what “zeal” looked like and all I could see was fire. A fire to go after that desire. What’s with the black? It feels like to barrier that needs to be pushed through to get to the hot, hot flame. Once that barrier is breeched, the fire/desire burns hot and there’s no stopping you. There’s no turning back.